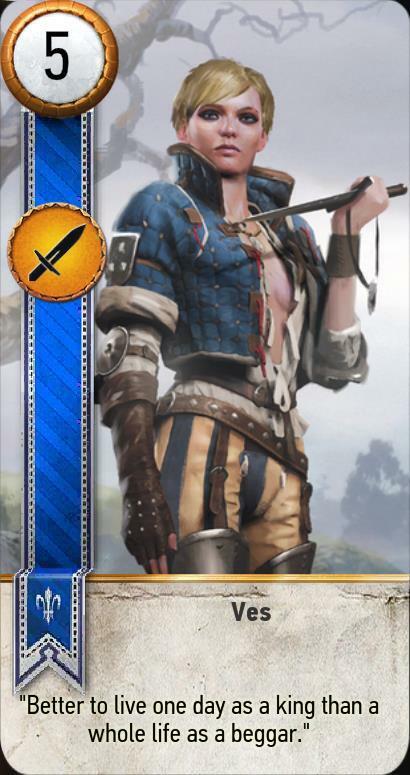 Ves is a Gwent Card in the Witcher 3: Wild Hunt. For the version in the standalone game, see Ves in the Gwent Wiki. "Better to live one day as a king than a whole life as a beggar"